Peaks Island is located off the coast of Portland, Maine in Casco Bay. Once arriving into Portland, it’s off to catch the ferry for the fifteen minute ride. We’ve been going to Peaks for about 25 years to visit our friends, Debbie and Dave, among others. Our last trip was this past Memorial Day week-end. Dave and I went into Portland to shoot some photos (shown below). 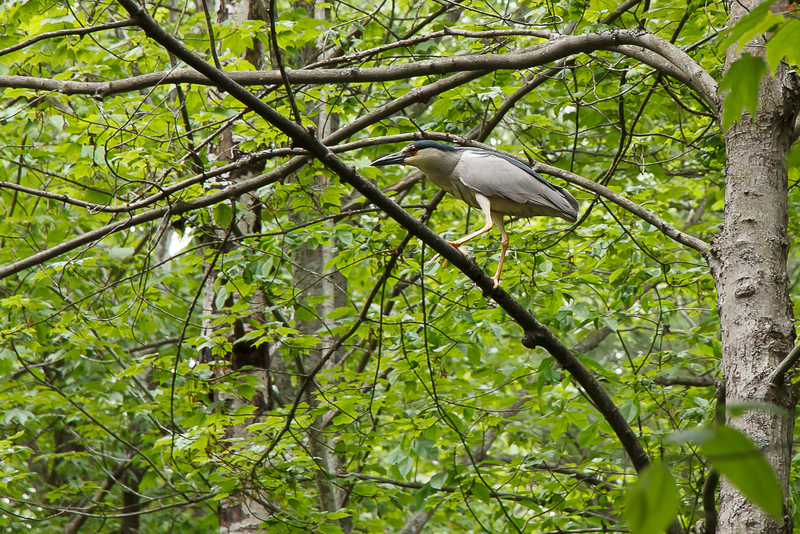 On our way back along the unimproved dirt road leading back to their cottage I noticed a bird in a tree overlooking a small pond–a Black-crowned Night Heron. These birds typically feed at night. There I was with only my 15-85mm lens, not the ideal equipment for bird photography. The camera was set for aperture priority but I figured I should take the hand-held shot before the bird decided to fly, then reset the camera to shutter priority to assure a sharp shot. Sure enough, the bird bolted. Nevertheless, the photo came out great–at 1/20 sec! 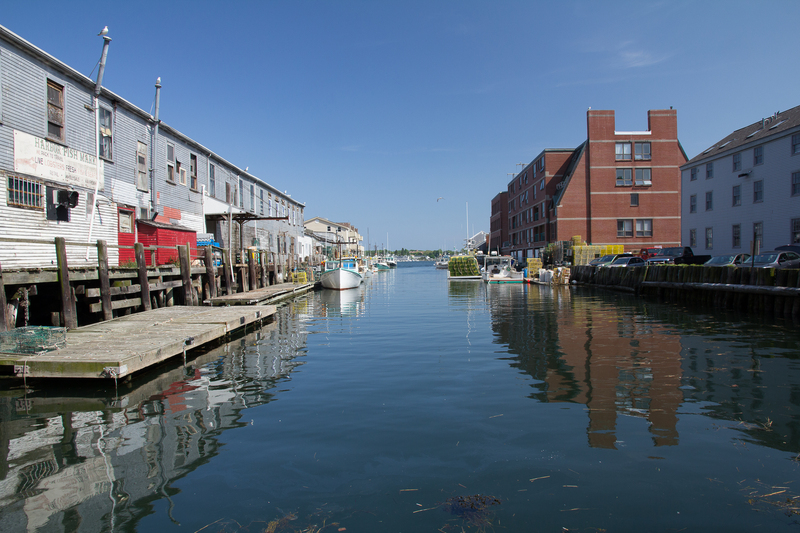 Portland is a deep-water harbor, enabling large vessels to come in. 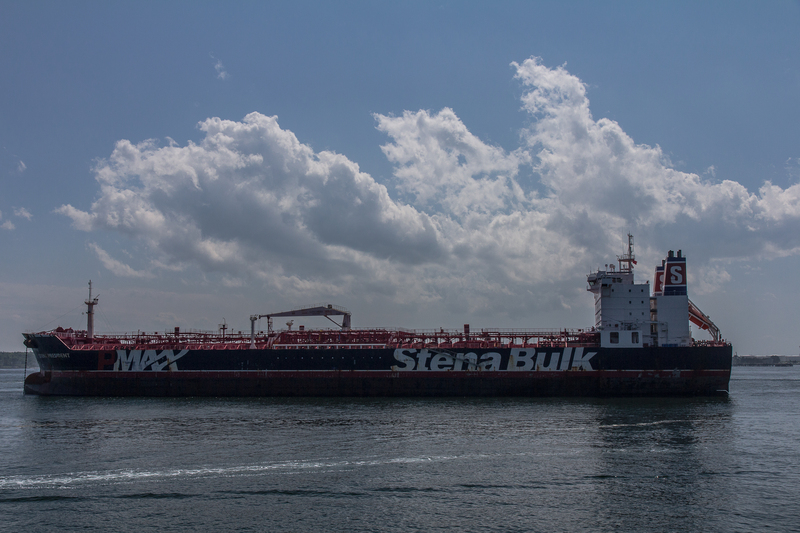 As a result, a lot of crude comes in from the Middle-east–Portland can unload 4 supertankers at one time. Front Street runs along all the piers in Portland. 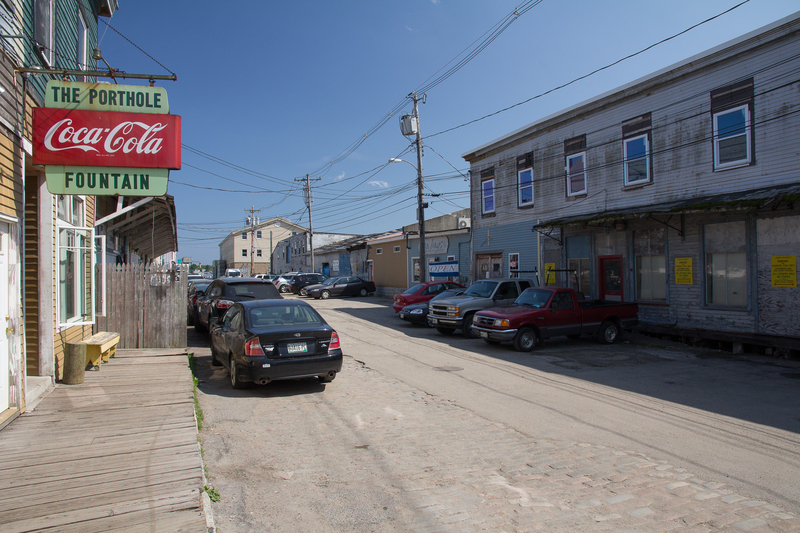 Although there has been substantial gentrification, including several investment houses for the New Yorkers and Bostonians who summer on the islands, there are several “seedy” areas still to be had. Many of them provide the best atmosphere and food, such as breakfast and lunch at the Porthole. 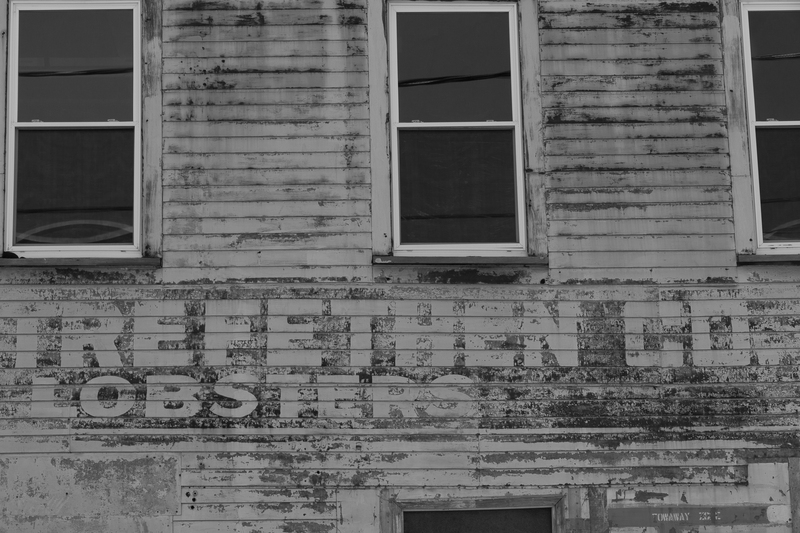 The last photo shows one of the examples of gentrification, new condominiums located across from old the warehouses of the past. Very nice image of the heron and enjoyed reading how you captured it. I also enjoyed reading about and seeing some of Portland. Only been there once. Need to return. Thank you.